Five state capitals will get help from the Environmental Protection Agency to develop green infrastructure that could help mitigate the cost of natural disasters and climate change. Resiliency, whether it be in the context of global warming or natural and manmade catastrophes, has become a white-hot topic in the design world, especially since Superstorm Sandy battered New York City in 2012. EPA selected the following cities for this year’s Greening America’s Capitals program through a national competition: Austin, Texas; Carson City, Nev.; Columbus, Ohio; Pierre, S.D. ; and Richmond, Va. Since 2010, 18 capitals and Washington, D.C. have participated in the program, which is administered by the EPA in collaboration with the U.S. Department of Housing and Urban Development and the U.S. Department of Transportation through the Partnership for Sustainable Communities. 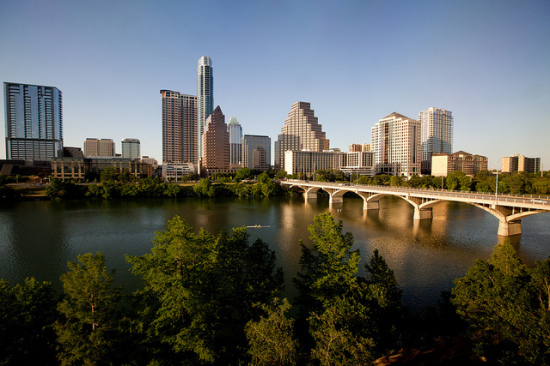 · Austin, Texas, will receive assistance to create design options to improve pedestrian and bike connections in the South Central Waterfront area, and to incorporate green infrastructure that reduces stormwater runoff and localized flooding, improves water quality, and increases shade. · Carson City, Nev., will receive assistance to improve William Street, a former state highway that connects to the city’s downtown. The project will help the city explore how to incorporate green infrastructure through the use of native plants, and to enhance the neighborhood’s economic vitality. · Columbus, Ohio, will receive assistance to develop design options for the Milo-Grogan neighborhood that use green infrastructure to improve stormwater quality, reduce flooding risks, and encourage walking and cycling. · Pierre, S.D., will receive assistance to redesign its historic main street, South Pierre, in a way that uses green infrastructure to reduce stormwater runoff and improve resiliency to extreme climate conditions. · Richmond, Va., will receive assistance to design options for more parks and open spaces, and to incorporate green infrastructure to better manage stormwater runoff on Jefferson Avenue, a street which serves as the gateway to some of Richmond’s oldest and most historic neighborhoods.